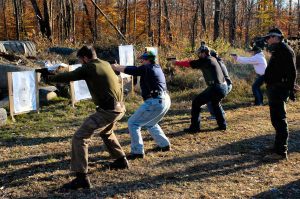 The goal of the Second Amendment Foundation Training Division's “Range Master” course is to provide the Certified Range Officers with a solid foundation in basic knowledge of range management and operations. This is a two day class. The SAFTD Instructor level courses are designed to teach the experienced shooter/instructor, how to present the SAFTD courses to the general public using the SAFTD MOI as a basis for instructional methods and techniques. This course also encompasses the proper running of the range portions of SAFTD classes and the best practices for achieving the maximum amount of learning from the students. Must take and pass the SAFTD Student level class. Must be able to legally posses firearms under both Federal and State laws. Range Master is an Instructor rating, you must be a current Certified SAFTD Range Officer, Certified in First Aid, CPR, AED from a National or State recognized organization and also must have taken SAFTD MOI (Methods of Instruction) within the last 2 years.